Last Saturday, KCTL took it's players, volunteers and parents to the US Open's Arthur Ashe Kids Day at the Billie Jean King National Tennis Center in Flushing, NY. It's a great day for the kids to watch the professionals practice (there were Nadal, Federer and Djokovic sightings! ), get on to the courts for tennis games, and watch live musical performances. But it's also a day to talk about Arthur Ashe and his legacy on and off the court. Arthur Ashe (1943-1993) was the first, and is still the only, African American male to win the US Open (1968) and Wimbledon (1975). He also won the Australian Open in 1970, and made it to the quarterfinals at the French Open in 1970 and 1971. As a doubles player, he won the Australian Open (1977) and French Open (1971). He also made the finals in Wimbledon (1971) and the US Open (1968). In 1983, with Harry Belafonte, Ashe founded the Artists and Athletes Against Apartheid. From the Arthur Ashe Learning Center website, "His commitment and efforts toward this cause were such that when Nelson Mandela, a political prisoner of the South African government for 27 years, was first set free and was asked whom in the U.S. he wished to have visit, he said, 'How about Arthur Ashe?'" Arthur Ashe died in 1993 from AIDS-related pneumonia. He and his doctors believed he contracted the virus during his second open-heart surgery through blood transfusions. A year before his death, he went public with his illness. Ashe also founded the Arthur Ashe Foundation for the Defeat of AIDS and Arthur Ashe Institute for Urban Health. In 1979, he was inducted into the Virginia Sports Hall of Fame. In 1983, he was inducted into the Intercollegiate Tennis Association Hall of Fame. In 1985, he was inducted into the International Tennis Hall of Fame. In 1986, Ashe won a sports Emmy. After his death, President Clinton posthumously awarded Ashe the Presidential Medal of Freedom. And in 1993, he received the Award for Greatest Public Service Benefiting the Disadvantaged. The main stadium at the US Open, the Health and Wellness Center at his alma mater at UCLA, and an ESPN ESPY award are all named in his honor. In 2005, the USPS released a commemorative Arthur Ashe postal stamp. According to the Women's Tennis Assocciation (WTA) the current #1 women's doubles team is Sara Errani (Italy) and Roberta Vinci (Italy). 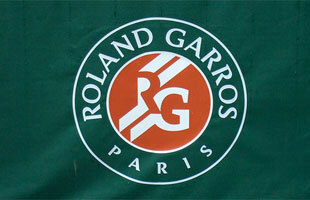 Together, they've won the 2012 French Open, US Open and Australian Open. To say the least, 2012 was a very good year for the team. Vinci is ranked #11 in Singles while her doubles partner, Errani, is ranked at #6. In 2012, Vinci made it to the quarterfinals in women's singles at the U.S. Open, but her partner Errani edged her out, 6-2, 6-4. Errani went on to lose to Serena Williams in the semifinals, 6-0, 6-1. Sara Errani was born in Bologna, Emilia-Romagna, Italy and has trained as a teenager in both Florida and Valencia, Spain. Errani is right-handed, with a two-handed backhand. She's know as a "clay-court" specialist and is "renowned for her use of strategy on the surface—including her tendency to position herself well, and to return serves early." She won the 2012 French Open (on clay) in singles defeating Maria Sharapova. Learn more about Sara Errani. Roberta Vinci was born in Taranto, Italy. Vinci has won 27 WTA Tour titles, eight in singles and 19 in doubles. She is right-handed with a one-handed backhand. Vinci is self-described as nice, clever, polite. Learn more about Roberta Vinci. On Saturday, we piled kids, parents and volunteers onto two school buses and took them to the Billie Jean National Tennis Center in Flushing, NY for Arthur Ashe Kids Day! The National Tennis Center was abuzz with thousands of kids and adults. It was great to see so many tennis enthusiasts in one place! It was a really great day where the kids got to run a variety of drills on the courts, play fun games like Speedzone: How Fast is Your Serve?, and watch the pro tennis players practice--there was even a Roger Federer sighting! Activities were split up by age, so everyone got to do a little something. I was very impressed not only by how well-behaved all the students were amid the 'chaos' but also by their tennis skills! I saw a Marcy student hit a 65 mph serve! Several of them rallied against the pros as if they had been playing since they were born. It was a proud day for KCTL. Later in the afternoon, some of the students entered Arthur Ashe Stadium and enjoyed musical performances from Carly Rae Jepsen and The Wanted. It was an inspiring day where the kids got to experience both the history and potential future of the sport of tennis. view all the photos from KCTL's trip to Arthur Ashe Kids Day, visit out Facebook page.